Coming April 20, 2019. Go whole hog at the Hog and Jog 5K Family Fun Run! The race will be held in southern Utah at Unity Park in Ivins. 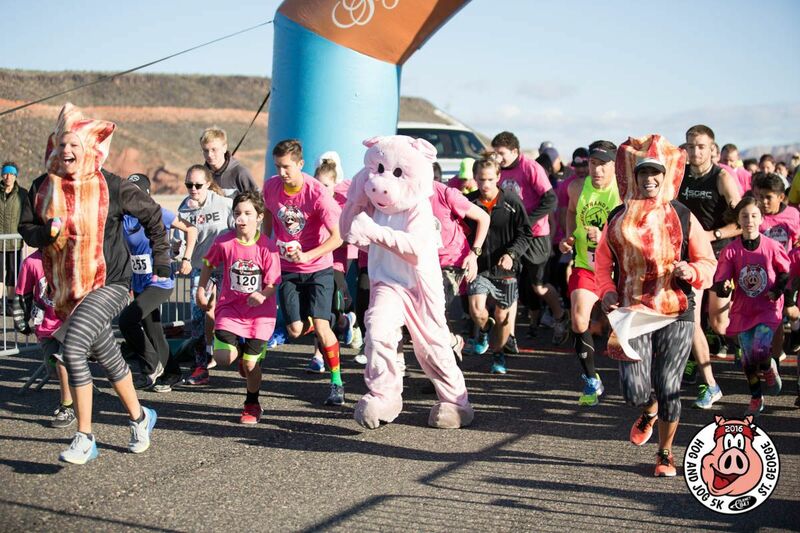 Besides lots of hilariously dressed runners (have you seen a piece of bacon running around before?! ), you can expect music and selfie stations along the course. Though it’s not a timed race, it promises lots of fun with prizes for top finishers and t-shirts, medals, and bacon, bacon, and more bacon for all! Plus, a portion of your entry fee is donated to Tan’s Treats, a local charity that provides meals for children in need on weekends, when school food programs aren’t available. Everything’s better with bacon, especially at the Hog and Jog 5K Family Fun Run!